These boxes are inspired from a toy truck. I transformed the plastic tire into a functional box by cutting it into two separate halves. 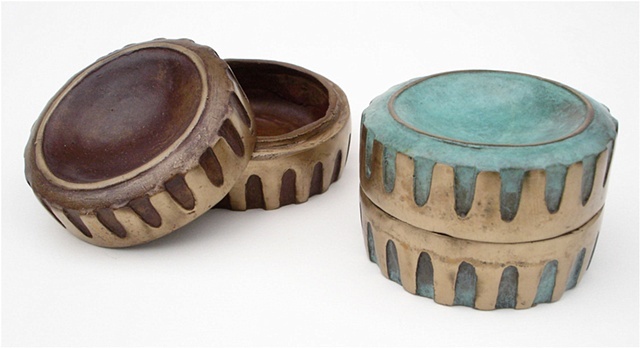 Through the lost wax process of casting, the final piece is in bronze shown in green and brown patinas. Please note: brown is currently sold out, only available in green.